Honey Twist Snacks – Twisted strips that resemble crinkle-cut, French fries. 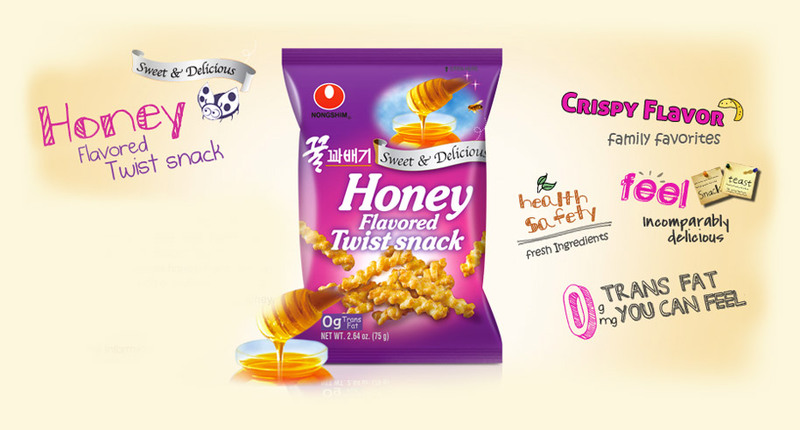 Honey Twist Snacks consists of fun-shaped flour that has been covered with Acasia honey. For every 75 g. of Honey Twist, 1,000 g. of Acasia honey is used. Each Acasia flower has 2-3 mg. of honey.